It’s official! 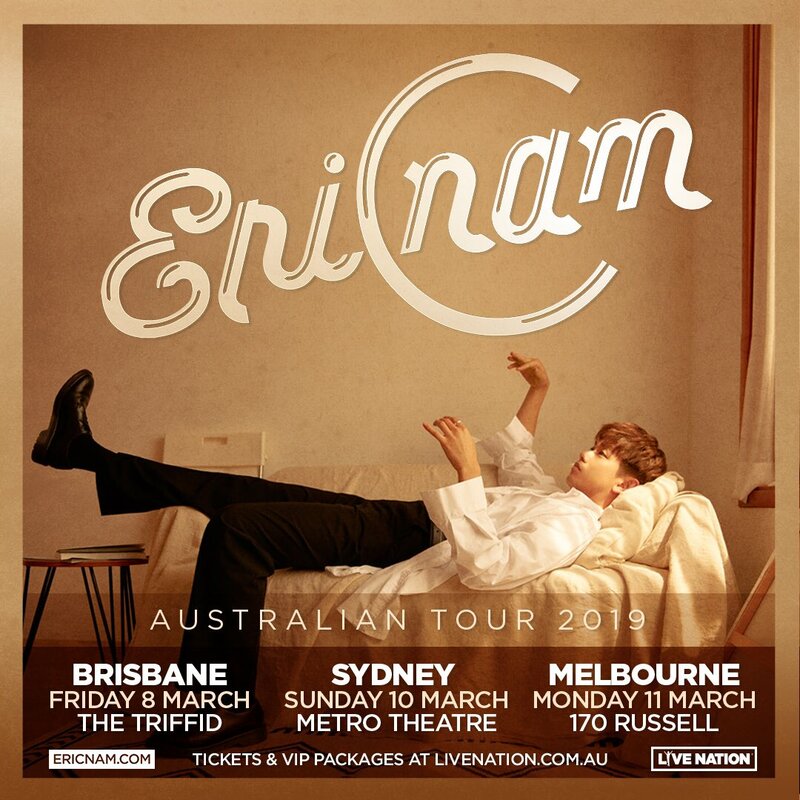 Eric Nam will be hosting his Australian tour in March! His first destination is Brisbane on March 8th at The Triffid. Next, he will perform in Sydney on March 10th at Metro Theatre. His last stop will be Melbourne on March 11th at 170 Russell. Pre-sale starts at 10am AEST on Friday, January 18th. General tickets will go on sale at 10am AEST on January 21st. You can purchase tickets here. VIP experiences are available for fans. For $180 AUD, it includes one general admission ticket, a group photo with Eric (groups of 5+ people), one signed poster, and early entry into the venue. Don’t miss this opportunity to see Eric Nam perform live in Australia! Are you excited for this Australian tour? Let us know in the comments below.